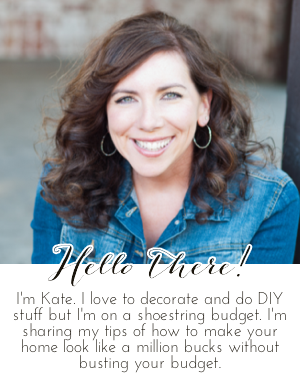 Chic on a Shoestring Decorating: Flaunt it Friday 321! Hello, friends and Hello September! Can you believe pumpkin everything season is upon us already?! I had planned to start dragging my pumpkins out of the basement this week but it didn't happen. But, it's still early so I've got plenty of time, right? I'm excited to see all of your fall stuff and everything else too! Let's party! Just found your party. Thank you for hosting and I hope to see you again next week! Thank you for Flaunt It Friday 321 and Happy September !